I am so proud of myself that I have to show off! 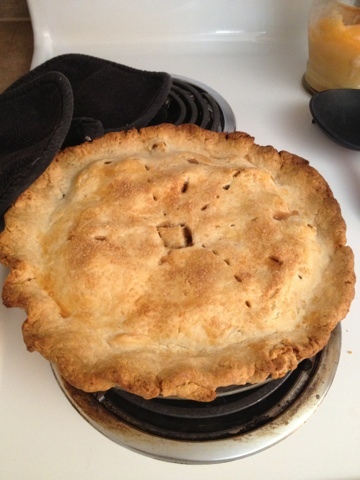 I made my first pie! An apple pie to be exact. I used the crust recipe tips from Design Mom. I took her suggestion (in the comments of her post), and I used the Land-o-lakes blue-ribbon-apple-pie recipe for the filling. The pie turned out soooo yummy. I think I'll be able to contribute home made pies to our Holidays this year. I think my grandma would be proud!